Today we have our third exclusive interview with Kevin Gianni, filmed right here in our office! Why Are We Interviewing Kevin? It's funny, because our team spends so much time researching and blogging about health topics, and all along we've had an expert right under our roof. Kevin has devoted many years of his life to learning about health, and he's really excited to share what he's learned with you. Before co-founding Annmarie Skin Care, Kevin and Annmarie were traveling the world, interviewing experts and researching about health. They shared what they learned in blog articles and YouTube videos. They quickly gained a loyal following of people who were also looking for answers about their health. Like you may have done, Kevin changed his diet drastically, eating raw for several years, eliminating sugar for a whole year, even dabbling in paleo before reaching his current diet. He combines this personal experience with a wealth of in-depth research in his new book, Kale and Coffee. Kale and Coffee is a book that takes you on a journey. It's probably the most entertaining health book you'll ever read. And you'll also come away with new ideas about how to change your diet and lifestyle. 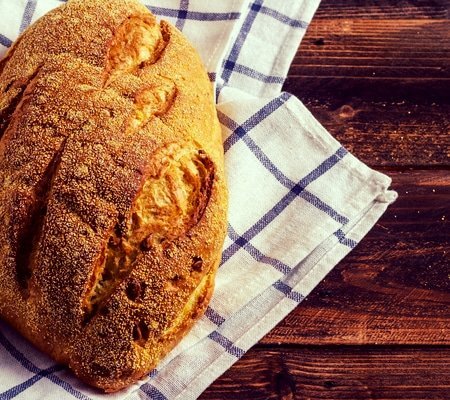 Is gluten intolerance increasing, or are we just more aware of it? The research on gluten and its effects on your health. Is Kevin eating gluten now? Kevin's book will take you along with him as he travels the world in pursuit of the ‘perfect diet.' Plus, at the end he gives you a 21 Day Jumpstart program to help you detoxify from some of your vices (and maybe even cut back a little). Could not hear the material very well. Check how you do your sound. I don’t usually have this problem. Good information. Thanks for sharing. Is there a transcript of this interview with references the studies he mentioned? everything must be consumed in moderation…what is good for the goose may not be for the gander! wheat definitely is not too good for any Body…but has been in our diet for years..
enjoying everything brings a very good dimension to digestion and how it works in the body.. Thank you Kevin, Ann Marie and team for all the wonderful and hard work you do to inform the world really, what it truly means to be health conscious. I await to add your diverse book to those I have invested in reading and learning. I’m so excited that you wrote this book! My journey started for me a couple of years ago when I came across an article on yahoo, “Top 10 Foods To Eat For Arthritis,” by Dr Mark Hyman. In it he discusses how certain foods affect the body and how to reduce those symptoms by including certain inflammation reducing fresh foods. Included was a link to Ann Marie Gianni’s skin care line. I took a chance with the free offer from Dr Mark Hyman for a sample kit and ordered. This is where my relationship with my health became stronger. I have suffered with Rheumatoid Arthritis, Systemic Sclerosis and Fibromyalgia for 7 years now (officially diagnosed ). I am only 45 years young and suffer horribly at times. I am posting in hopes that others will read this and strongly consider taking charge of their own bodies. Read what you can, read the guest posts by Functional Dr’s Mark Hyman, Josh Axe and yes, the Gianni team! I was tested for Celiac Disease among others which all came back with a negative result. So my family doctor chided me into trying gluten free anyhow. Wow, what a difference! No longer do I suffer from gastric misery, bloating, gas, irregularities, increased body pain, debilitating fatigue, brain fog, headaches, depression symptoms, anxiety, dry skin, acne breakouts and overall hands and feet swelling. Eating gluten, the symptoms are almost always immediate for me. I believe I react to fodmap’s also. Those cravings for a pop and pizza I pay dearly for as Kevin indicated himself. So I would say if you have a gut feeling and want to feel better, listen to it. Do as much research as you can handle and spread the word. I am interested to know if there is anything in the book related to eating and stress – namely the effect that stress or stress-induced conditions have on a person’s ability to digest ANY food, be it gluten, FODMAPS, greens, or anything else. We know that certain foods can cause stress for the body, but is the reverse also true? Can stress affect how sensitive the body is to ANY food? the same, if not worse. I work in the arts and my schedule is very erratic, so trying to follow the new eating paradigm perfectly is always highly stressful and I feel like a failure if I mess up, adding to my anxiety. After two weeks on this last hypoallergenic diet, I just couldn’t do it any more. I realized that my digestion was more affected by stress – including the stress of adjusting to such drastic food restriction – than to anything else. I decided to keep the sugar and caffeine to a minimum, and continue on my adaptogen protocol, but went back to my normal, pretty healthy diet, which included some whole grains and FODMAPS. Within a few days, I felt better, and I’m now focusing on getting my adrenals back on track, but one step at a time. Low sugar, low caffeine, breathing exercises, and meditation seem to be magic formula for me. I wonder if anyone else has had similar experiences? It is so great to hear from Kevin!!!! Please continue the interviews. Also, I just pre-ordered the book and can’t wait to get it! Thanks Kevin for getting the word out there. I had eliminated gluten for a couple of years yet still had problems. I recently found out I have SIBO and I am on a Specific FODMAP diet. I find it to be a boring diet and very very limiting yet I do have less problems both with digestion and depression. I look forward to the day I can actually go out to eat again and add something back into my diet. I was curious about whether or not I was gluten intolerant. Whether or not my moods were just moods or food-related. So, last year at my annual exam, I asked my doc if we could test that when I went for the usual blood tests. She agreed and I found out I was not gluten intolerant. This made a huge difference..simply knowing that, even though I limited my gluten intake (always a good idea) my body could accommodate gluten. Then there is the GMO issue. Is the wheat organically grown and harvested? Or is your body reacting to chemicals and additives? Europe is far ahead of the U.S. on that issue. Wow, thank you Kevin for sharing your experiences with gluten. I am gluten sensitive too and up until I figured this out I consumed mass quantities of it! Wow, little did I know that all of that pasta, pizza, bread, beer, crackers and what ever else I was consuming was making me so sick. Not just physically-oh, the pain I could have spared myself, but emotionally as well. I had terrible mood swings that caused me major stress-for most of my life!!! I am so grateful to have learned that a thing like gluten sensitivity exists! Thank you again for sharing with us! Thank you, Kevin for bringing this debatable topic to light. I have been GF for 2 years & dairy-free for 4 years and feel ‘lighter’ & my sinus issues have improved dramatically if not gone away. I has sinus surgery almost 2 years ago which brought me to the conclusion that I am intolerant to gluten & dairy. I ate a sandwich daily for lunch & had various candies (all containing hidden wheat) before I realized gluten is in dang near everything! I started an elimination eating program (I don’t say diet! :)) & quickly realized once I re-introduced ‘wheat’ that my head starting exploding & my sinuses started to tingle because my body was ‘telling’ me I was coming in contact with an allergan. Sometimes I would sneeze but my head always pounded & eventually I developed tinitus. So now when I come in contact with hidden gluten, my ears plug up & need to be popped. After being about 90% GF in the beginning, I quickly dropped about 2 inches around my waist within a month without even trying with exercises & FINALLY got rid of the ‘love handles’ I struggled to exercise off for over 30 years. My horribly dry Wisconsin skin has maintained moisture as well. I can immediately tell when I eat a gluten containing item now because I get gassy , feel bloated & just feel ‘heavy’. Becoming GF & dairy free has not been the challenge I thought it would be (except when dining out for sure). But the freedom from chronic sinus infections is WELL worth every bit of effort! You won’t be sorry. BTW…most doctors are of no help in this area. They blankly stared at me like I’m crazy when I tell them my issues were food related. I am taking the time to listen to each one of Kevin’s talks. Since Keven shared that he is gluten intolerant, I wish he would have described some of the symptoms he experiences whe he eats gluten. In addition, I wish he would have cited some common foods with sulphur or fodmaps. I have experienced gastrointestinal issues for years. AMA doctors have been all over the map, not really able to give me a diagnosis. I initiated experimenting with my diet, as I became more aware and informed. I eat almost gluten free and do see some significant positive changes. I am wondering if I also have trouble with diary (and I love Greek yogurt and sometimes ice cream). I use almond milk in smoothies. I know I have much more to learn. I do get sugar cravings and need to figure out how to get away from sugar all together. Kevin’s book sounds like it is filled with excellent info for someone like me. Great interview. Kevin reiterated a lot of things and cited studies I’ve also come across in the past year – it was good to hear them again. Also – so interesting that he mentions the link between fertility and pregnancy. I’m a health coach, and I tell clients who are having menstrual and/or fertility issues to try giving up gluten and there is definitely a correlation! I would love to find more studies that explore this link.